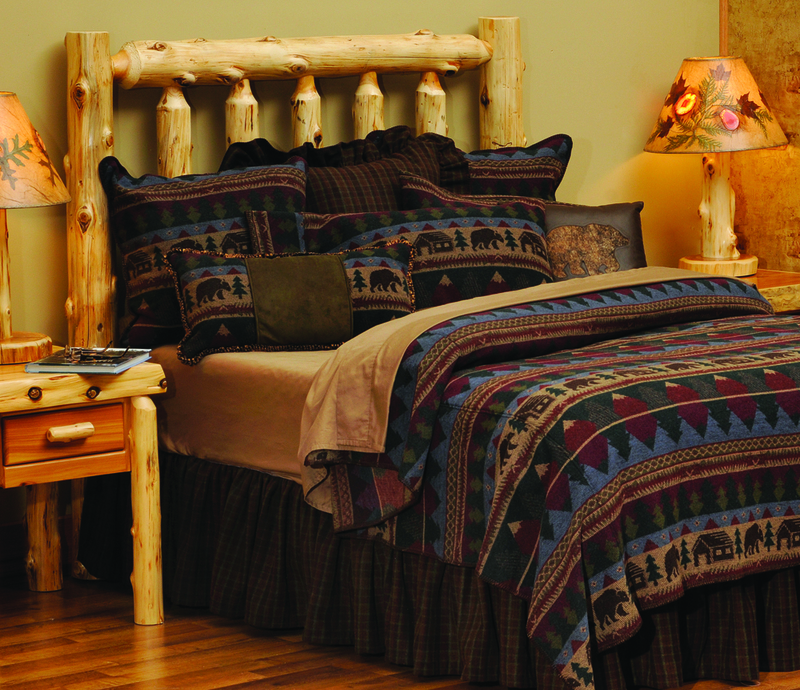 Log Cabin Rustics is very pleased to offer over 20 comprehensive premium Wooded River Bedding collections. This premium rustic bedding is made in America and features a vast selection of bedspreads, duvets, coverlets, shams, pillows and window treatment, which can be purchased individually or in rustically elegant matched sets. Most Wooded River items are machine washable and have free delivery to 48 states and come with a manufacturers 12 month guarantee. Add rustic style and distinction to your cabin, lodge, or country retreat with this premium rustic bedding by Wooded River.